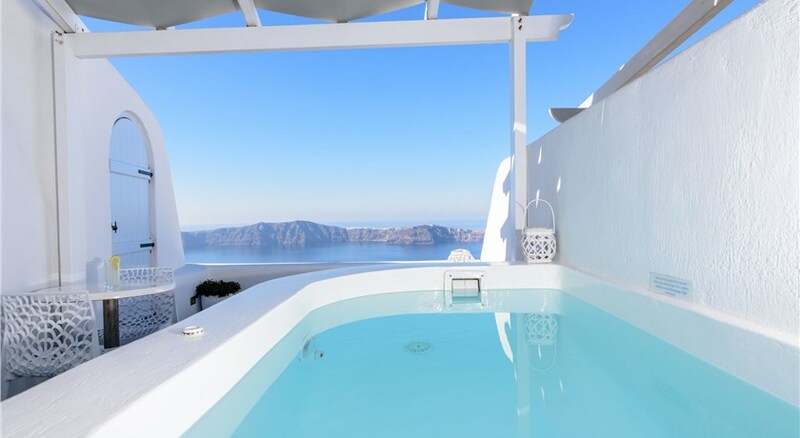 Located 220 metres above the Aegean Sea, in the scenic village of Imerovigli , the charming complex Alexander Villas enjoys spectacular views over the caldera and the volcano. A Continental breakfast is served daily in the elegant rooms. 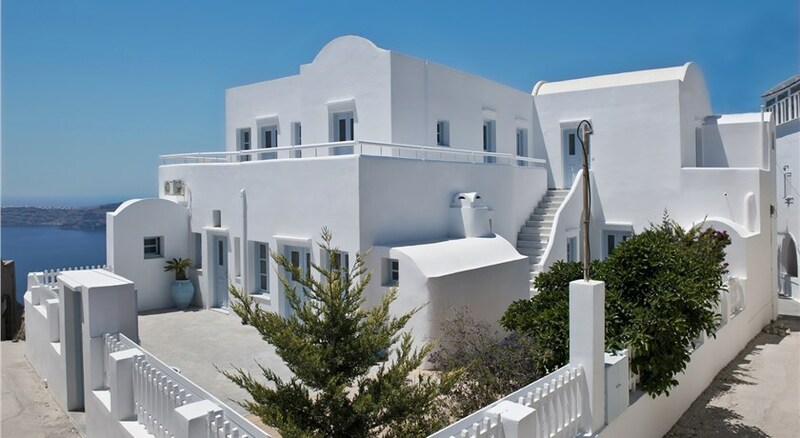 The whitewashed rooms and suites are built in keeping with the traditional Cycladic style featuring domed ceilings. Each air conditioned unit comes with a satellite LCD TV, fridge and hairdryer. Most open out to private verandas boasting breathtaking views. Guests can take a refreshing dip in the swimming pool of Alexander or enjoy room service from the complex’s bar. Alexander villas can also arrange for massage sessions. 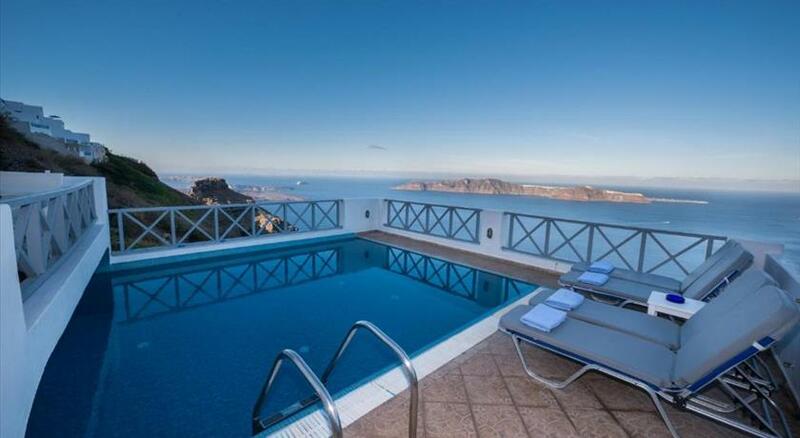 Fira, the main town of the island, is a 5-minute drive from the villas. Santorini Airport is at 8 km. Free Wi-Fi is provided throughout and free parking is available nearby. Taken from a drone fly over that shows the hotel from above. 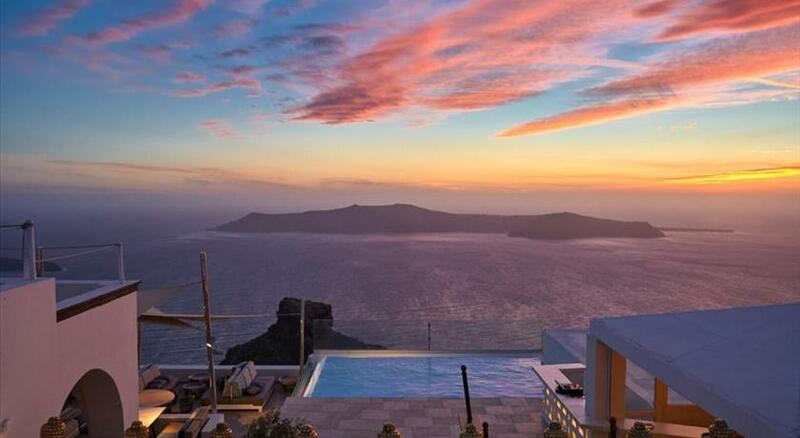 Alexander Villas is located in Imerovigli's caldera. Children older than 12 years are welcome. There is no capacity for cots in the room. There is no capacity for extra beds in the room. Please inform Alexander Villas 1 in advance of your expected arrival time. You can use the Special Requests box when booking, or contact the property directly with the contact details provided in your confirmation. Please note that children under 8 years old cannot be accommodated. In the event of a non-show or early departure, the property will charge you the full amount for your stay.